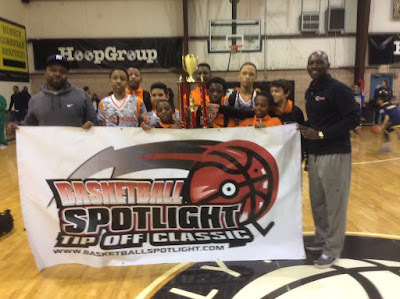 BASKETBALL SPOTLIGHT NEWS: Basketball Spotlight Tip Off Classic 6th Grade Blue Division Championship Recap: East Coast Elite Grabs The Banner! Basketball Spotlight Tip Off Classic 6th Grade Blue Division Championship Recap: East Coast Elite Grabs The Banner! Stay tuned as we bring you more recaps, videos and coverage from the Tip Off Classic.